Been looking forward to this rally for a while now with so much Irish interest. Kris Meeke and Paul Nagle start at number 3 and hopefully will go well if the VWs falter. Breens is also in the event in the 208 and I think will struggle against the other WRC2 cars, mainly because of the car. Daniel McKenna in his DS3 starts his campaign in the WRC3 class this year. It will be interesting to see how he gets on compared to the rest of the class. I think he will be on the pace by the end of the weekend. 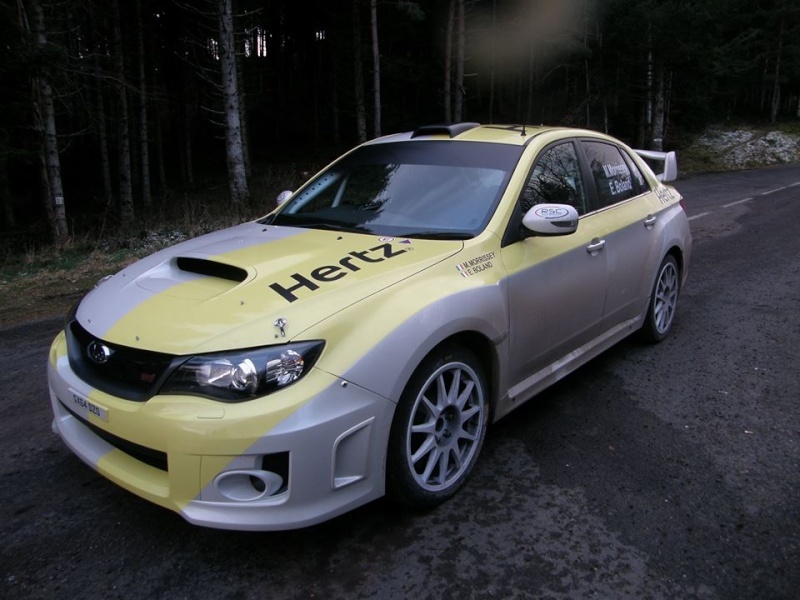 Eamon Boland is also back competing in Monte Carlo this year again, this time he has the new JRM built saloon impreza. I reckon on an Ogier/Loeb 1-2 - just not sure what order. I still reckon the old boy has the edge, its just the VW is clearer the car to be in. reeft1 wrote: I reckon on an Ogier/Loeb 1-2 - just not sure what order. I still reckon the old boy has the edge, its just the VW is clearer the car to be in. hey brian, what about a thread just for events..................??? sorry m8 just being a smart_ss!!! I guess I shouldn't slag the boss, might get excommunicated!!!! Haha thought I had always had it there. If Loeb was to win, having spent a year out in Touring Cars, what would that say about the rest?? Playing devils advocate Chris, if Loeb wins, the rest will be sure to claim they are thinking of the points in the championship, you can be guaranteed that's the line they are practising already. I hope the two Seb's do go for it and we get a good close fight. Will anyone else join in, its hard to say and depends on how much snow there is I suppose. It would be nice if Jari-Mati showed some of the pace he had on Tarmac last year. Hopefully Citroen have developed the DS3 and Kris can be there or there abouts as well, here's hoping! Absolutely, can Loeb draw Ogier into a fight to try and break him. That's what Citroen want but can VW resist the fight for the win? As you say there are a few drivers that really need to get themselves together Latvala, Meeke and Kubica. Dark horse...Bryan Bouffier a past winner and knows the event well enough. Great to be looking forward to the season starting again! Latvala for the win Would love him to put one over the Frogs when everyone is building it up to be a battle of the Sebs! lol chris.........!!! how;d you read my mind from away over there??!!?!? Looking forward to the event too. How much is going to be televised on Motors TV, though? I've been impressed with the coverage of various motoring events on that channel, even managed to see some of the American Global Rallycross action at the weekend. (Any form of rallycross on TV is good for me!!). I'm going to predict the finishers being a certain S Ogier winning, followed by M. Loeb and Mr Meeke! A more certain of is for Mr Kubica to end up removing scenery from his car before the car is removed from the scenery!! Quite excited about this rally. For the first time in ages we have a situation where the result is not a foregone conclusion. Many thanks for the TV timings. You're a hero! Should be able to be more interactive with the Monte this year than I was for the 1986 Lombard RAC, which I follwed using a mixture of Teletext updates and the two Top Gear Rally Specials each night (with William Woollard as the link man based in Rally HQ). Those were the (rose tinted) days! Now all I need to do is work out if the broadcasts are on a channel I have access to and I'm away!! One wonders will young Seb running first on the road for the first 2 days have any relevance in the rally? I know it's not gravel, but would fresh snow or compact ice make any difference? I take it the older version will be well back the running order and surely at a disadvantage if there is piles of mud being pulled out by the early runners?